Stage 1 - Street System with Tuner. Torque Increase from 420 ft/lbs to 600 ft/lbs. 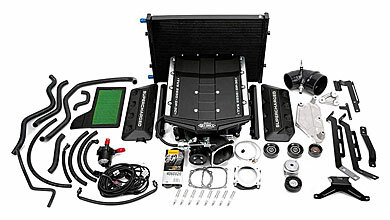 Dual-Pass 3-Core Intercooler for Lower IAT. Installs Under the Standard Bonnet. 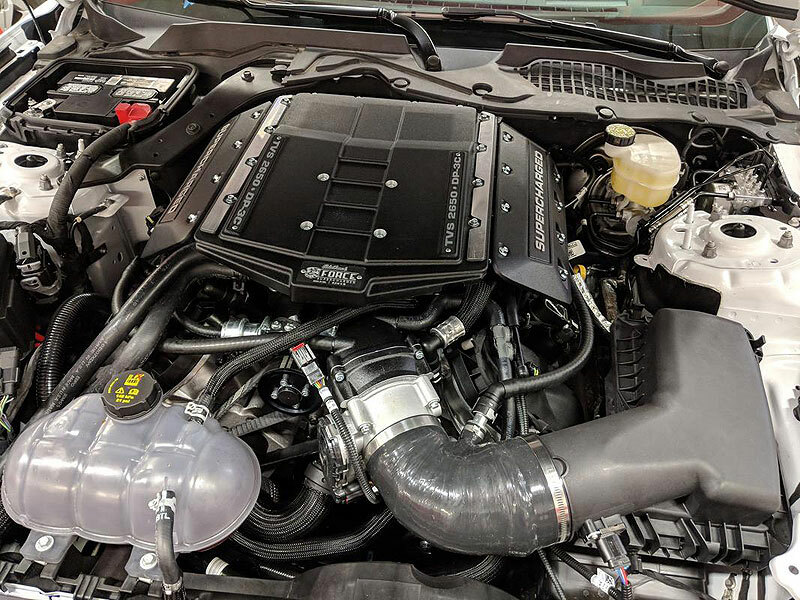 Fits 2018 and Newer Manual and Automatic Transmission GT Mustangs. 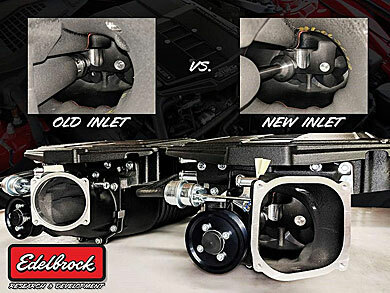 The heart and soul of Edelbrock's E-Force Supercharger is the Eaton Gen VI 2650 TVS Supercharger rotors. The Eaton Gen VI features a unique four lobe design with a full 160 degrees of twist to provide maximum flow, minimum temperature rise, quiet operation, and everyday reliability. The inverted design places the supercharger down low in the valley, allowing for extra long runners to maximize low end torque. DP-3C refers to Edelbrock's new Dual-Pass Three Core design. The incoming intake charge is directed to pass through the three core intercooler twice for lower intake temperatures. Upon the first pass air is forced out from the rotors up through the center of the intercooler. On the second pass the air charge passes back through either side of the intercooler before entering into the runners. 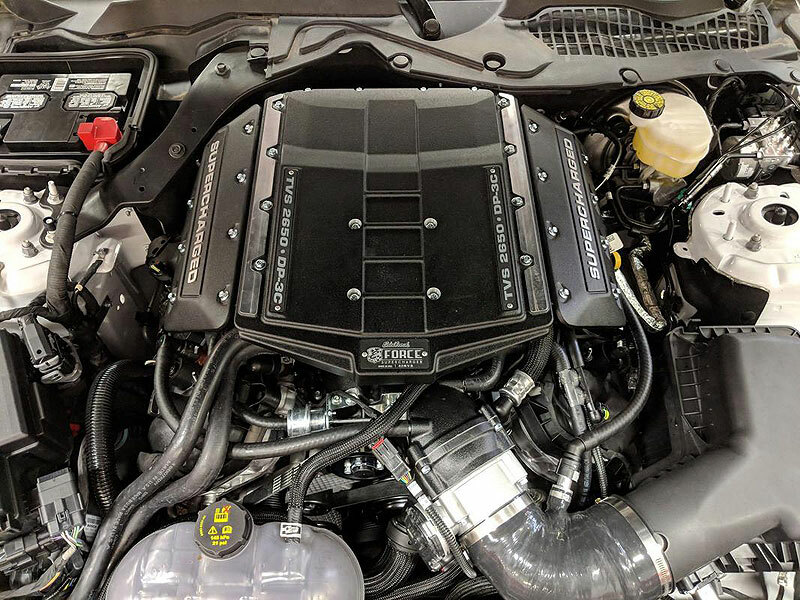 The DP-3C intercooler features 45% more surface area when compared to Edelbrock's previous design, that allows the E-Force Stage 1 Supercharger to obtain lower intake air temperatures for more horse power and torque. 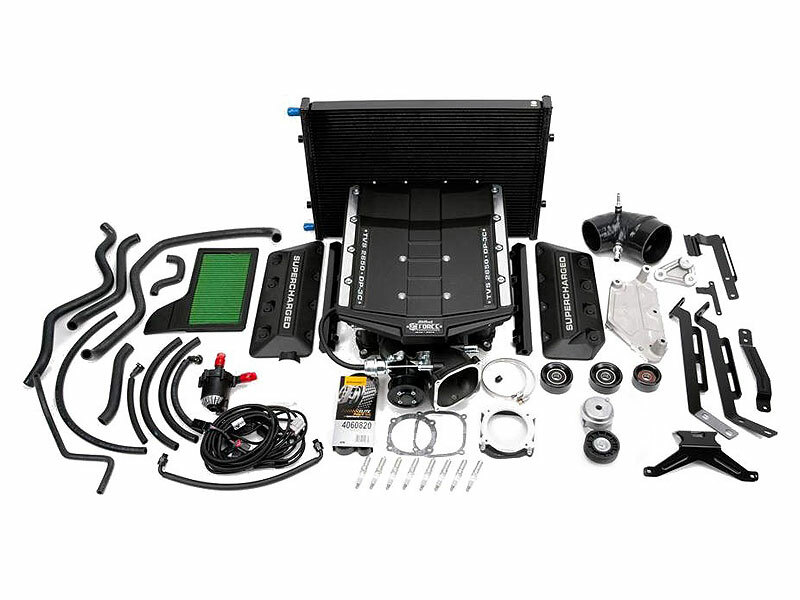 This Edelbrock E-Force Stage 1 Street Supercharger Kit is specifically designed for use on the 2018 and Newer GT Mustang equipped with a 5.0L Coyote V8 Engine and an MT-82 Manual or 10R80 Automatic Transmission. NOTE: Vechicle tuning required in the 158320 kit for a complete installation (not included).